The Roosevelts pumps PBS ratings, but that doesn’t make the network any less centrist. 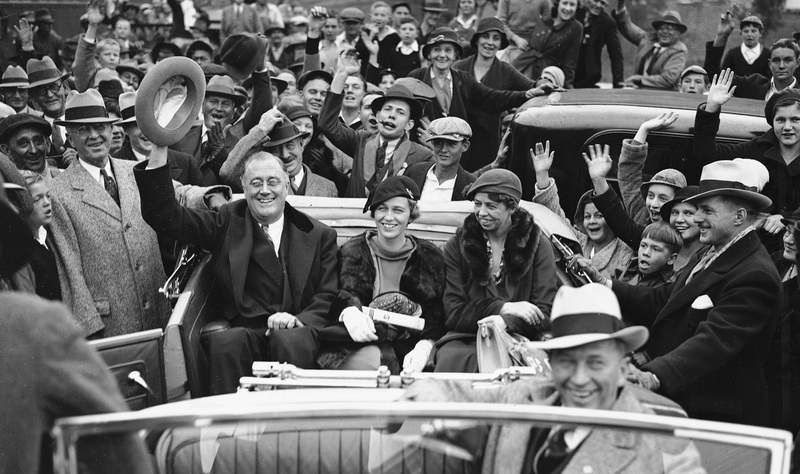 Ken Burns’s fourteen-hour series The Roosevelts is giving a big ratings boost to PBS. And even with George Will rather gently criticizing FDR, the show makes a persuasive argument for more government involvement in the lives of the nation’s citizens. But PBS is not so sympathetic to New Deal policies that it would ever welcome the hatred of malefactors of great wealth. In fact, it has often caved to the wishes of rich conservatives, most notoriously when it pulled Citizen Koch, a public television documentary that took on the Koch brothers. David Koch sits on the board and helps fund PBS flagship station WGBH in Boston; last year, he noisily resigned from another flagship, WNET in New York, after a different Koch documentary squeaked through and aired. In the end, though, it doesn’t matter that the Republicans couldn’t defund PBS—they didn’t really need to. Twenty years on, the liberal bias they bemoaned has evaporated, if it ever existed to begin with. Today, the only special-interest group the network clearly favors is the aging upper class: their tastes, their pet agendas, their centrist politics. This should surprise nobody who has taken a long, hard look at PBS’s institutional history. Yes, it’s tempting to view the last couple of decades as a discrete epoch of decline, with the network increasingly menaced by a cartoonish G.O.P. hit squad, helmed by Newt Gingrich as Snidely Whiplash. But the present state of PBS was almost an inevitability, the result of structural deficiencies and ideological conflicts built in from the very start. As it happened, it did. But when [Forecast the Facts campaign director Brant] Olson got up onstage to deliver the signatures, wave a banner, and yell into the microphone, the sound was immediately cut. Security chased him down and handcuffed him, even as a PBS staffer held up a notebook to block any photography.